Watch the trailer for Frozen, and you’d be forgiven for thinking it’s a comedy about a talking snowman, co-starring a personable young ice-seller who just happens to have a feisty girlfriend. But you’d be wrong. In the film itself, the snowman is just a comic sidekick, the ice-seller is romantic interest, and both of them are supporting characters in what is essentially the tale of two sisters. Elsa, the elder, is tormented by an unwanted ability to freeze her surroundings; after years of trying to suppress this power, she inadvertently blasts her kingdom back into the ice age and flounces off to live in an ice castle on a remote mountain. It’s up to the younger sister, Anna, to embark on a perilous quest to convince her sibling to thaw out the land, as well as herself. The story was “inspired” by Hans Christian Andersen’s The Snow Queen, in which the young heroine has to rescue a childhood friend who has been kidnapped by the Snow Queen after getting a shard of evil troll-mirror embedded in his eye. But nowadays Disney is doing its damnedest to dissociate itself from the fairytales that inspired such animated classics as Snow White and the Seven Dwarfs and The Sleeping Beauty, giving its new films gender-neutral titles in an effort to attract young male audiences who wouldn’t be caught dead watching a fairy-tale with princesses in it. There may well be young male filmgoers – and some female ones too – who sneer at fairytales, though they clearly haven’t read the unbowdlerised versions of Andersen, Grimm or Perrault, in which mutilation, dismemberment and cannibalism are par for the course. It’s true there was a long tradition of Disney princesses being so passive that all of the women I know used to side with the villainesses – the witch in Snow White, or the wicked fairy in The Sleeping Beauty, who at least seemed to have acquired skills, even if they used them for evil. But from the 1980s onwards, Disney tried hard to make its heroines less weedy. Ariel in The Little Mermaid, Belle in Beauty and the Beast, Pocohontas, Mulan and Tiana in The Princess and the Frog are all stronger and more adventurous than their forebears. But rumour has it the studio blamed The Princess and the Frog‘s underperformance (it still made a ton of money, mind you) on the word “princess”, so from this point on, it opted for bland one-word titles with no princessy connotations whatsoever: Brave, Tangled, Frozen. 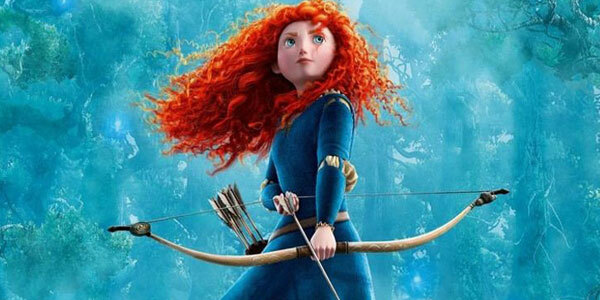 Merida in Brave was the first Disney princess not to have love interest, and (like Mulan) was skilled in martial arts. 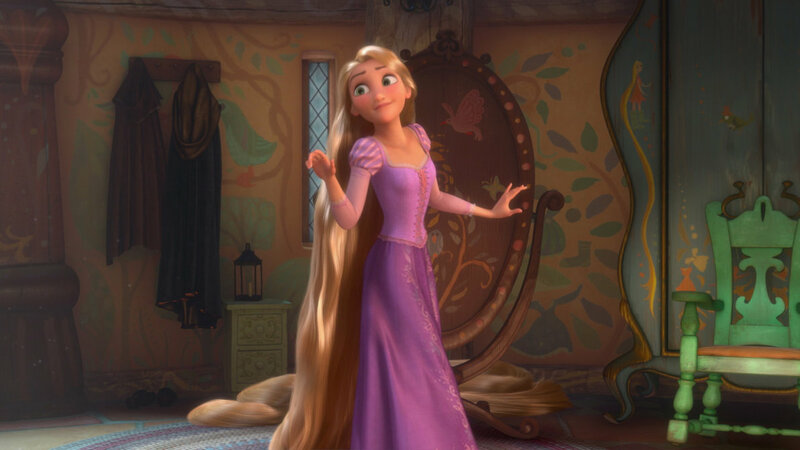 At first, Tangled seemed like a throwback, with a heroine (Rapunzel) whose distinguishing feature was her magic healing hair. But to have magic healing hair – not to mention hair that doesn’t need conditioner to be long, thick and lustrous – is to have a superpower, of sorts. A very girly sort of superpower, admittedly, but a step up from giving all the magic powers to the witches. 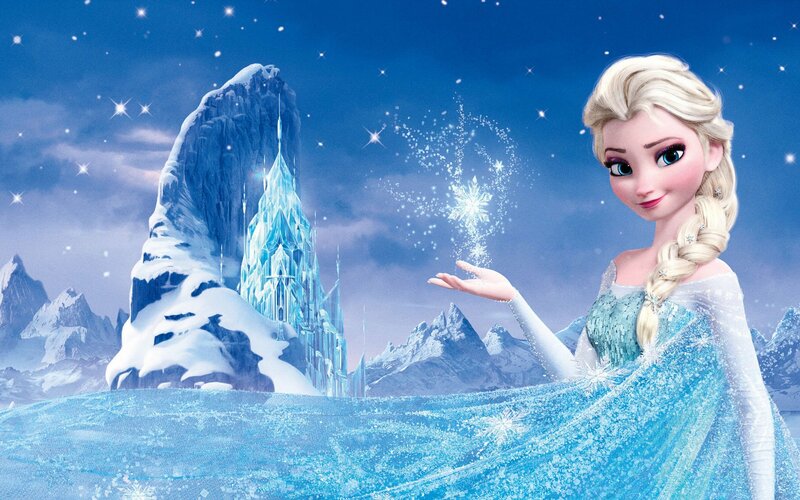 Elsa in Frozen is one of Disney’s most interesting princesses to date. After years of bottling it up, she finally lets rip with her icy powers, Idina Menzel belting out the film’s musical show-stopper with such gusto that even I, a confirmed showtunephobic, felt the urge to shout cringe-making slogans like “You go, girl!”. Hers is a power straight out of a superhero movie, not unlike that of Bobby Drake (aka Iceman) in the X-Men franchise, who can freeze things with the touch of a finger, or chill Wolverine’s beer just by breathing on it. But Iceman is a minor character in those films; Elsa is centre-stage in hers – it’s as much a story about her learning to control her superpowers as it is about her sister’s quest to save her. In Captain America: The Winter Soldier, which came out a few months after Frozen, Scarlett Johansson’s Black Widow once again played second fiddle to the male superhero, just as she did in Iron Man 2 and Avengers Assemble, though her contributions in those films suggest she would be just as capable of going it alone as Thor or Hulk or the rest of the boys. DC now seems to be following Marvel’s example by shoehorning Wonder Woman into its Batman vs Superman testosterone tussle as an afterthought, even though she was the central character in a well-known 1970s TV show, and her comics have been published almost continuously since 1941. What more does a superheroine have to do to get her own movie? But you know what? Maybe Marvel and DC can go hang. If they can’t give us superheroines, maybe Disney will provide them. Elsa’s story is more beguiling and psychologically nuanced than anything the Marvel and DC universes have given us recently, so I’m sure the Mouse House can tackle other classic fairytales in similar fashion. How about a reworking of The Red Shoes – though, obviously, without the severed feet and the downbeat ending – maybe retitled Shod, or Beslippered? Rumpelstiltskin could be jazzed up as Spun, or (since the title character ends up tearing himself in half) Split. Thumbelina could be made over as Digital. Here’s an idea: between 1889 and 1910, Andrew Lang published 12 volumes of fairytales that are now in the public domain. They’re all storyboards waiting to happen. And they’re packed with potential superheroines. I have great hopes for the generation of girls like our Miss C who grew up belting out the line, ‘I don’t care / what you’re going to say…’ I have always loathed the Disney machine, but when I see her Frozen obsession, I finally get it. I’m sure if there had been a Black Widow or Wonder Woman movie, there would now be little girls obsessing over her AS WELL AS over Elsa or Merida (do they obsess over Merida? I thought she was a bit boring, actually – all those mother issues, yawn). So frustrating! She looks good with all that hair but alas…and it’s hard to find Merida stuff for Miss C, though I did get one nice tee top. Especially in Scotland, there should me more! I honestly thought my daughter was doing Iceman (the one from the Spider-man and Friends cartoons of the 70s) when she first started with her Elsa moves. They have the same powers!